On September 14 Robert F. Kennedy, Jr. will introduce Jackson Browne as he receives the Gandhi Peace Award from Promoting Enduring Peace at the Lyman Center for the Performing Arts starting at 7:30 pm. Kennedy, the second son of the late Sen. Robert F. Kennedy, is an American environmental attorney, author, and activist who serves as president of the board of Waterkeeper Alliance, a non-profit environmental group that he helped found in 1999. Dr. Joseph Bertolino, president of Southern Connecticut State University, will greet the audience, as will Andrew Wolf, New Haven’s Director of Arts, Culture and Tourism. Ben Grosscup and Luci Murphy of the People’s Music Network will begin the evening with musical tributes. Chris George of IRIS (Integrated Refugee & Immigrant Services) and Frida Berrigan, columnist for Waging Peace and daughter of Philip Berrigan, will also speak. 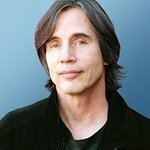 Jackson Browne is the first artist to receive the Gandhi Peace Award. He is being honored for extraordinary contributions of time and talent to the inseparable causes of world peace, environmental harmony, and social justice. The Award comes with a cash prize and a medallion forged from peace bronze composed of metals salvaged from the control systems of U.S. nuclear missiles. The Award Ceremony will feature short musical tributes by local performers, an appeal for action on the local and planetary levels, and the presentation of the Award itself. Consistent with tradition, Browne has been invited “to present a message of challenge and hope” to those in attendance. Several of his albums, such as Lives in the Balance, World in Motion, Looking East, and Standing in the Breach, directly challenge imperialist foreign policy, environmental short-sightedness, and corporate greed, and question the sustainability of the present civilization. The title track of Lives in the Balance calls out the “shadow on the faces / Of the men who send the guns / Of the wars that are fought in places / Where their business interest runs” in civil wars in Nicaragua, El Salvador, and Guatemala. In response to the Three Mile Island nuclear near-catastrophe in 1979, Browne co-founded the groups Musicians United for Safe Energy (MUSE) and in more recent years, Nukefree.org. During the 1980s he was active in the Central America solidarity movement, co-organizing concerts in Nicaragua, Cuba, and elsewhere. 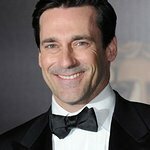 Lately he has turned his attention to the seas as a founding member of the advocacy group Ocean Elders. Last December Browne released the moving song “The Dreamer” to shine light on the new deportation threat under the Trump administration for those who have been protected temporarily under the Deferred Action for Childhood Arrivals (DACA) program. Reservations for the open-seating event are $10 each (suggested donation).